I said it wouldn’t work, didn’t I? Yes, friends, after less than two years in operation, the BBC Store is shutting up shop, having admitted defeat ‘in the face of streaming service rivals’. Way back in November 2015 I blogged about the Store’s launch (I like to keep things current), when Auntie Beeb was proudly trumpeting the fact that over 7,000 hours of content, old and new, would be made available to purchase and view via her iPlayer. I pointed out that much of this material was in fact already available on DVD, but nobody listened; nobody cared. Now, the dream is ended. Viewers will only be able to watch their purchases until the 1st of November, and those who aren’t happy with a refund will get have to make do with an Amazon voucher. BBC Store, we hardly knew ye. Actually, that’s not what I said at all. Given my past investigations into ways of making archive TV available in digitised format, I in fact expressed cautious optimism. But, after wrestling with my conscience, I couldn’t bring myself to purchase any of those rare Dennis Potter plays in online only form. And it turns out it was just as well, doesn’t it? They’re about to vanish once more into the ether – which is exactly what caused my faintness of heart in the first place. The problem is that, while I frequently move sums of money around electronically, seldom even carrying a physical pound in my pocket, when it comes to audio-visual media I still feel more comfortable with an artefact I can actually hold in my hand. 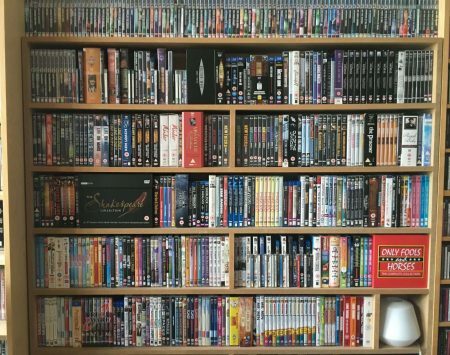 I enjoy building and maintaining a visible, tangible collection of DVDs and BluRays – and mine is organised meticulously. It begins with a bookcase of films, arranged alphabetically by title. That is, unless I own more than two films by a particular director or actor. In that case they get their own section, using the surname for alphabetisation purposes. The component films are then arranged in ascending chronological order, thus providing a neat career overview. So, Cary Grant movies go under ‘G’, and Alfred Hitchcock films under ‘H’. ‘But what,’ I hear you shriek triumphantly, ‘about the Hitchcock films that star Cary Grant?’ Well, I’m afraid Hitch takes precedence over Cary in terms of personal viewing preference, so Suspicion, Notorious, To Catch a Thief and North by Northwest are housed under ‘H’, not ‘G’. ‘I always thought Hewett was a bit odd,’ you doubtless begin to snigger. Well, it’s my collection, and I can do what I like with it. How do you arrange yours, then? In the order you bought them? By colour? Then, of course, it’s on to the far more sizeable television section, which takes up a large set of shelves I designed and had made specially. 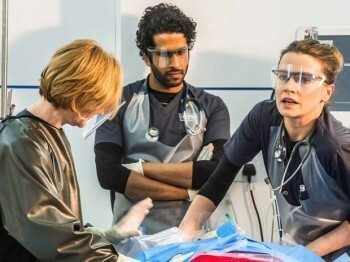 British TV drama comes first (always! ), and for this I employ a variant on the film system. Rather than directors getting their own section, I privilege writers: Bleasdale, Kneale and Potter are arranged under ‘B’, ‘K’ and ‘P’, respectively. Interesting that I reflect the old film/TV director/playwright auteur division, isn’t it? I tend not to use actor sections for television. I’m not one hundred per cent sure why; perhaps because the small screen has less of a star system than classical Hollywood? Anyway, after drama comes British TV comedy, then British children’s television, then British small screen documentary (basically just a lot of Louis Theroux). I then have a section of music DVDs, which don’t qualify as television, but there’s no space anywhere else in the flat (and they’re all UK groups, so it sort of works). Then – on a separate shelf, in a nod to the cultural gap that will always divide our two great nations – comes US TV drama (primarily classic telefantasy, with a big dollop of Columbo added for good measure), followed by US TV comedy (they did quite a lot of good stuff, I’ll admit, but it’s basically Frasier, M*A*S*H, The Simpsons and South Park). That’s my collection. And it is ever expanding. Well, maybe it’s not quite like that (yet), but you get the idea. You wouldn’t expect me to give all that up for a laptop and an online service that keeps crashing, would you? Swap my lovely home comforts for a soulless existence in some featureless pod, dressed in a ghastly boiler suit and 3D visors that beam images directly into my cerebral cortex? Besides, you virtual types are labouring under a delusion. Although you keep telling each other that DVD is a dinosaur, the fact is that more and more archive material is becoming available in that creaky old format. My 2015 lament on the non-availability of The Dark Side of the Sun was addressed almost immediately when it was unexpectedly released, and I now have a whole Michael J. Bird selection on my shelf (that’s right; in the British TV drama section, filed under ‘B’ for Bird, with Dark Side… placed – in ascending chronological order – between The Aphrodite Inheritance and Maelstrom. Good to see you’ve been paying attention). The only item I saw on the Store that immediately tickled my fancy was the BBC’s four-part 1982 adaptation of The Hound of the Baskervilles – but then I discovered that this, too, was now available on DVD (from Germany, but still available). It even had a commentary by Tom Baker – you don’t get that online, do you? Elsewhere, long-standing CST contributor Dr Billy Smart is currently curating Network’s ‘Forgotten TV Drama’ strand – an offshoot of Royal Holloway’s excellent Forgotten, Lost and Neglected project – in which all manner of archive goodies, unscreened for decades on terrestrial television, are seeing the light of day once more. He emailed me just last month enthusing over the release of LWT’s 1972 anthology series The Frighteners, with the promise of further treats to come. Let’s face it; for television historians, this is a great time to own a DVD player. And it’s not just antediluvian fogeys like myself that are still emotionally invested in DVD; I regularly debate its alleged obsolescence with my students. The seemingly straightforward show of hands question ‘Who mainly watches TV online?’ is of course deceptive. The reason many of these fine young people aren’t watching television content on an actual television set is that they are living away from home, and can’t afford the licence. Ask them, ‘How many will sit down and watch Corrie when they go back to visit Mum and Dad?’ and the hands shoot back up. Then ask them whether they still buy DVDs, and the majority will say no; if they want to watch something that has already been on the box (as they don’t call it), then iPlayer, Netflix or Amazon will do. However, probe them about their favourite shows – the ones they’re going to go back to and watch again, maybe in years to come – and many admit that, yes, now they come to think of it, they will still buy the box sets (by which they mean ones that actually come in a box). Or at least they would, if they had the disposable income. 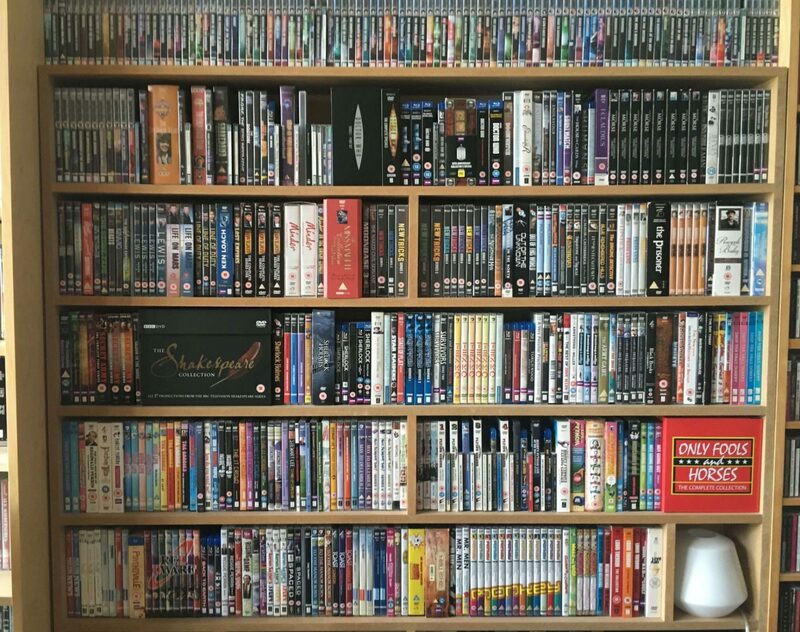 Some even begin getting a bit weepy and nostalgic – ‘Oh, I used to really love buying DVDs’ – which of course makes me feel even more of a fossil. ’Cos I still really love buying DVDs. I won’t waste your time attempting to extend this line of thought to the more general shift in terms of the digital availability of television content, but it does make me laugh when the online evangelists try to shock students by proclaiming the broadcast medium a dead one. I once saw a colleague try this, bellowing ‘Television is doomed!’ and waving his arms about like an Old Testament prophet. To be fair, I think he just wanted to make some kind of an impression, and in this he was successful; the one thing first year media undergrads don’t want to hear is that they might not grow up to work on The Jeremy Kyle Show after all. It isn’t doomed, but it is changing. Very slowly. Is it not interesting that, since BBC Three went online only, much of its content is sneakily ‘repeated’ on the ‘proper’ channels (e.g. Murder in Successville), in the hope that someone will actually pick up on it? One could even compare the failure of the BBC Store to the soggy online squib that was Class – the 2016 Doctor Who spin-off designed to target all those feisty young digital natives – which now looks to be heading for cancellation. Many of my students didn’t even know it was on until I told them – but then it’s difficult to maintain a sense of appointment viewing when the schedule has become an abstract concept. The BBC’s explanation for the closure of the Store – that they can’t compete with commercial SVOD services – ignores the fact that these providers are not (as far as I know) currently offering quite the extensive range of archive programming that the BBC could. Now, are we to deduce from this that people are not prepared to pay to watch ‘old’ TV? No: witness companies such as Network continuing to release really quite obscure (but good) archive material on DVD. Does it, then, point to the fact that viewers don’t want ‘old’ TV in a virtual format? Could this be due to the fact that the people who do want access in fact see them as less disposable than the binge-viewable box sets that make up much of Netflix’s content? That they instead regard old TV shows as historic artefacts – something to be valued on the same level as a favourite novel? Or maybe the primary audience for archive television is academics and students, and we just don’t feel we should have to pay for it? Ah, well. This has been a somewhat rambling blog, for which apologies. The BBC is to be applauded for having embarked upon the adventure of the Store in the first place, and I feel sadness (and a little guilt) at its passing. Whatever its form, there will always be room in my life for archive television content – and while a freely accessible online repository would be superb for professional purposes, I’d still prefer to pay for physical copies (that I can hold in my hand and lovingly add to my collection) than not own them at all. Dr Richard Hewett is Lecturer in Media Theory at the University of Salford’s School of Arts and Media. He has contributed articles to The Journal of British Cinema and Television, The Historical Journal of Film, Radio and Television, Critical Studies in Television and Adaptation. His book, The Changing Spaces of Television Acting, will at long last be published by Manchester University Press in August. FYI, I also link films from the same studios in this way: Ealing under ‘E’, Hammer under ‘H’. It works for me. It’s the same when you ask how many watch TV on their mobile phones. There is often a sizeable response until the question is refined: ‘How many of you would use a mobile phone as your viewing medium of choice?’ All the hands go down. I should really go into market research. Can I even say that it was ‘on’? On a platform, I suppose. Like a passenger during a rail strike. Thanks Richard. I too love DVDs but I did ‘buy’ Tender is the Night’ (1985) from the Store. In the rather complicated process, I did ask the virtual sellers what would happen if the programme for some reason become unavailable again. They couldn’t answer this but now I know. The saddest thing is that the BBC has offered me an Amazon voucher in recompense for the disappearance of ‘my’ purchase.